On January 11, over 4,000 people, including hundreds of journalists, gathered in Phnom Penh for a “solidarity dinner” organized by Cambodian Prime Minister Hun Sen. It was the third time that the prime minister had hosted this now-annual event intended to strengthen relations between journalists and the government. “The progress of the nation cannot be inseparable from the contribution of all journalists”, Hun Sen wrote on his Facebook page one day before the dinner, according to the Ministry of Information of Cambodia. But not all journalists were equally welcome at the dinner. 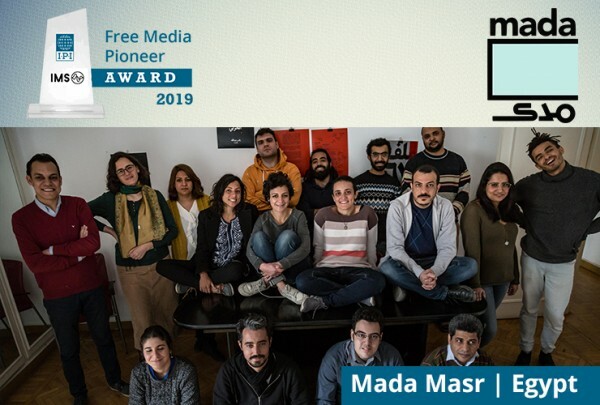 According to information provided to the International Press Institute (IPI), reporters from Radio Free Asia (RFA), Voice of America (VOA) and Voice of Democracy (VOD) were not invited to the event. Moreover, sources said that journalists attending the dinner received around $200 each. However, none was willing to speak about the experience publicly, underscoring sensitivities around it. The dinner was not the first time that journalists from the aforementioned media houses faced discrimination by the state. On several occasions, they have been prevented from entering public places such as the National Assembly and other government buildings. Of even greater concern is state legal action against independent journalists. Two former RFA journalists, Uon Chhin and Yeang Sothearing, were arrested in November 2017 and charged with espionage under Article 445 of Cambodia’s criminal code. They were later released but remain unable to practise their profession while the investigation continues. Cambodia is in the midst of an erosion of media freedom that began in August 2017. As part of Hun Sen’s preparation for the July 2018 general elections, the government began an effort to silence all opposing voices. That month, the English-language independent newspaper Cambodia Daily was forced to close on the pretext of unpaid taxes of over $6 million, an accusation the paper denied. In the months that followed, several independent radio stations were closed, among them the U.S.-funded Radio Free Asia and Voice of America. In May 2018 the last major independent media outlet in the country, the Phnom Penh Post, was sold to a Malaysian investor with links to Hun Sen. Besides targeting independent media, the government has also gone after opposition politicians. In November 2017, Cambodia’s highest court dissolved the country’s main opposition party, the Cambodia National Rescue Party (CNRP). The leader of the party was arrested and spent over a year in jail before being released in September 2018. The government’s campaign to control the flow of information bore fruit. Hun Sen’s Cambodian People’s Party (CPP) won every single seat in the elections. But even with victory in hand, Hun Sen’s attitude towards independent media has not loosened. In practice, nothing has changed in terms of the crackdown that began in August 2017, Sek Sophal, communications officer at the Cambodian Center for Independent Media (CCIM), said in a recent interview with IPI. Hun Sen has ruled Cambodia since 1985 and holds the title of the world’s longest-serving current prime minister. Over the past decades, human rights activists and opposition politicians have condemned his heavy-handed methods of preserving his power. However, to understand why the long-time ruler initiated the recent crackdown against independent media, it is essential to take into account the evolution of the media landscape in Cambodia, Sophal Sek said. Before, it was fairly easy for Hun Sen to manipulate media content. Despite the existence of some independent media, most of the biggest media houses were owned by Hun Sen’s family members or by people linked to his government. With the rise of modern media infrastructure, that model proved vulnerable. Social media and smart phones allowed people to access new and diverse sources of news that challenged the official version. The government’s flaws became increasingly visible. This transformation of the media landscape cost the CPP a significant number of votes in the general elections of 2013. The CPP failed to reach 50 percent of the vote, while the CNRP surged to 44 percent. 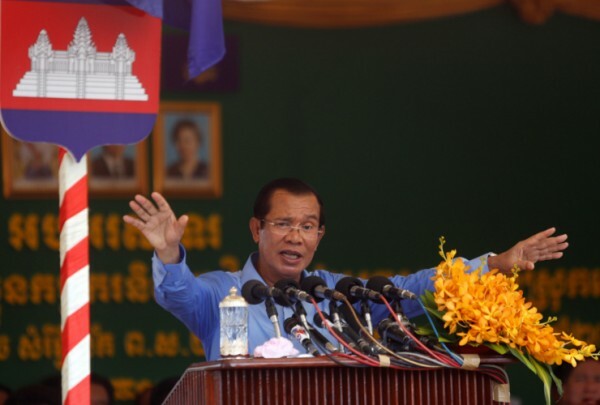 As a result, Hun Sen’s hegemony seemed on the verge of crumbling. The government’s reaction was to tighten control over media houses and the opposition. 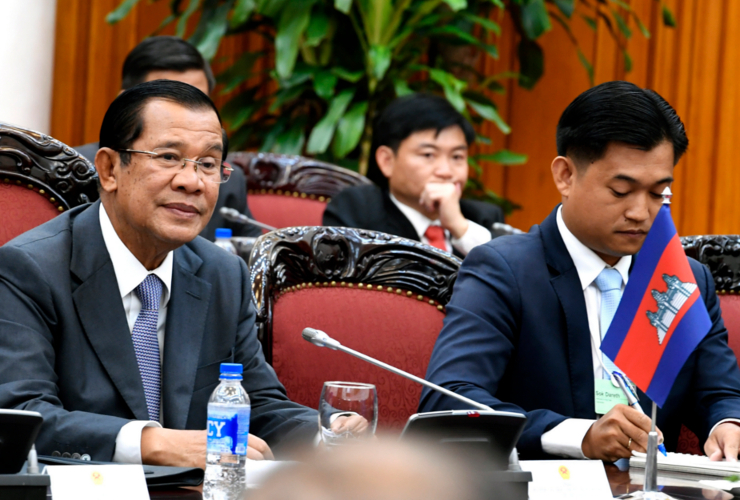 After the CPP’s landslide victory in July 2018, the international community began to put pressure on Hun Sen, which resulted in the release of several opposition politicians. After several warnings, in autumn 2018 the European Union took steps toward expelling Cambodia from the Everything but Arms scheme, which provides to least-developed countries with duty-free trade access to the bloc. The prime minister therefore has a need to prove to the world that his government respects human rights. For independent observers like Sek Sophal, the recent “solidarity dinner” is part of the government’s propaganda efforts. The reality is that the government does not tolerate journalists who criticize it while also working to cultivate a pro-government media industry that publishes positive stories about the country. In fact, the government has made efforts to silence public calls for human rights or media freedom. In December 2018, authorities banned a planned gathering to celebrate the 70th anniversary of the U.N. Declaration of Human Rights. After the dinner, Cambodia’s pro-government media published stories suggesting that the future of the Cambodian press was bright now that the elections had passed and the political confrontation was over.